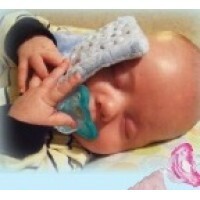 Cuddle Squares are soft, calming, 4.5" x 4.5" fabric squares that babies love to hold, rub and cuddl..
Razbaby Raz-Buddy Jollypop With Removable Pacifier Pepper Fox Plush Toy. 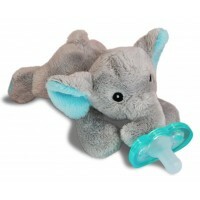 Nothing soothes a..
Razbaby Raz-Buddy Jollypop With Removable Pacifier Elfy Elephant Plush Toy. Nothing soothe..